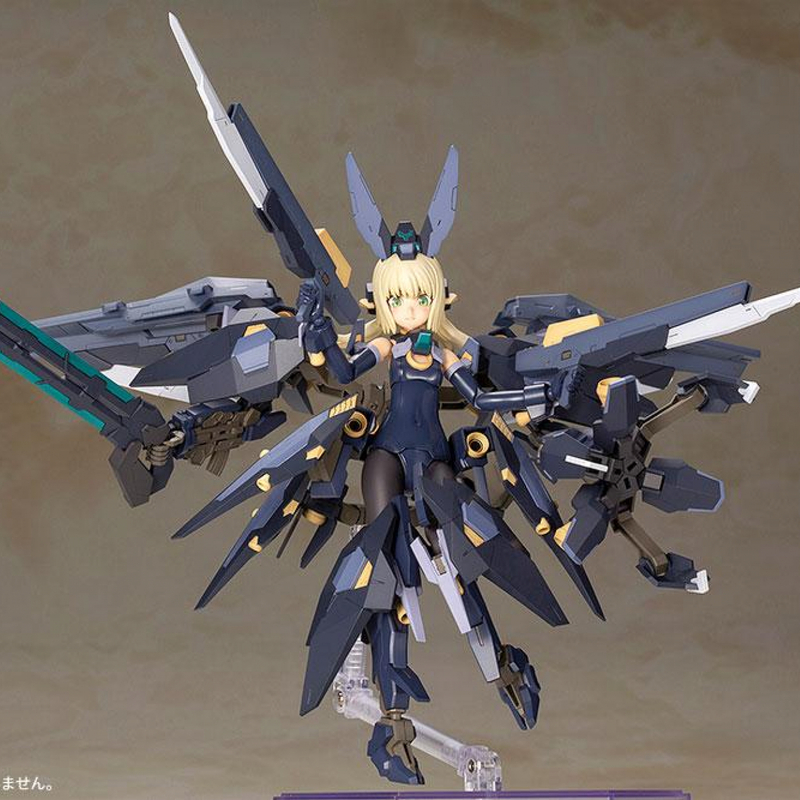 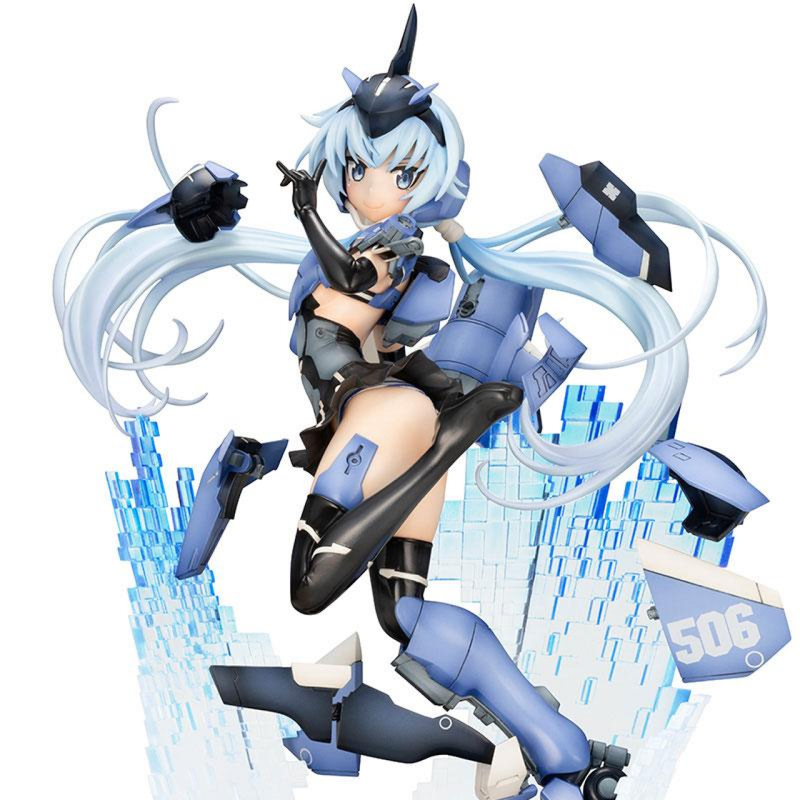 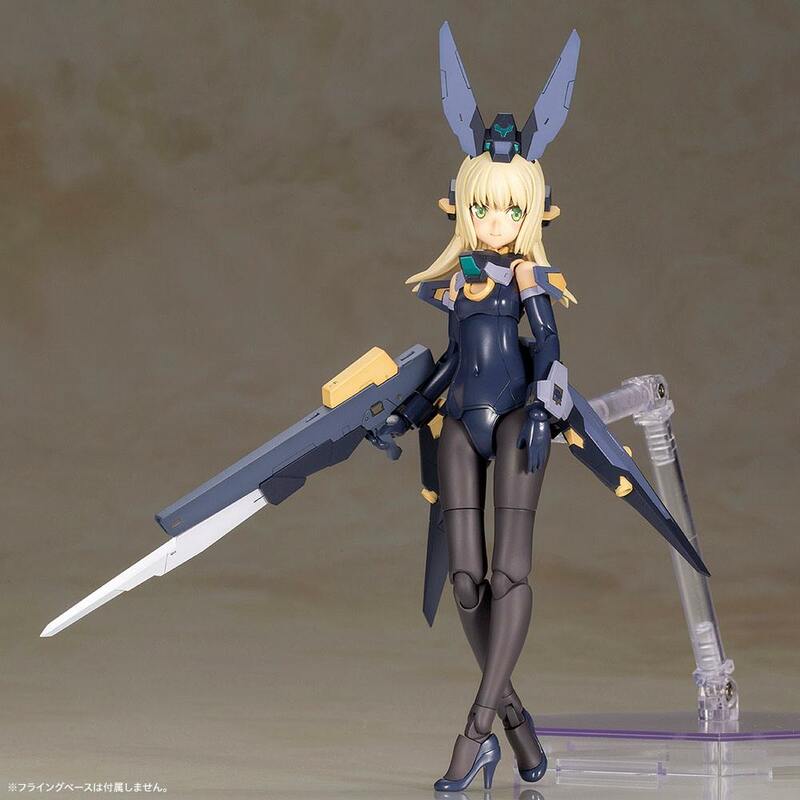 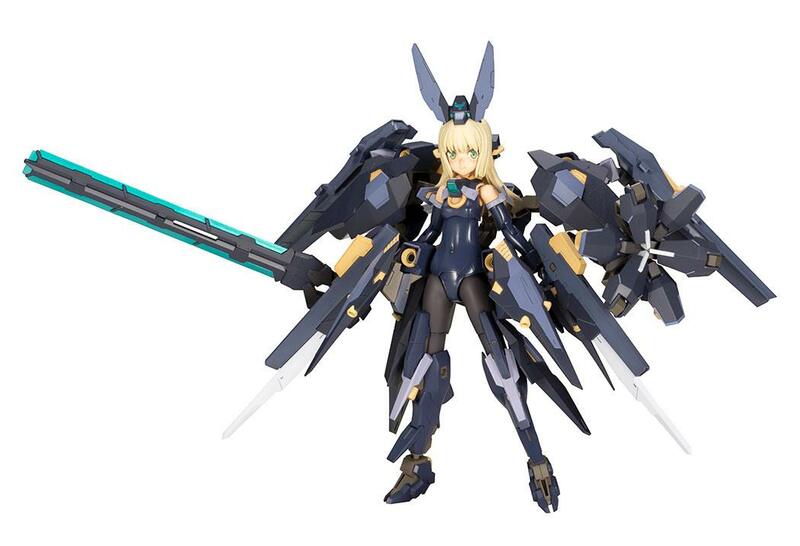 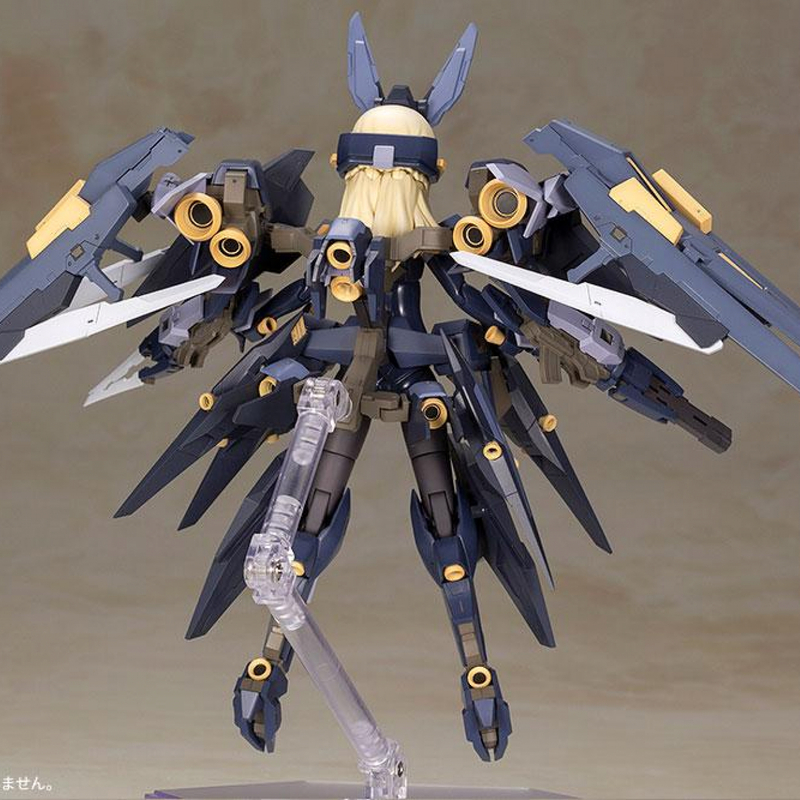 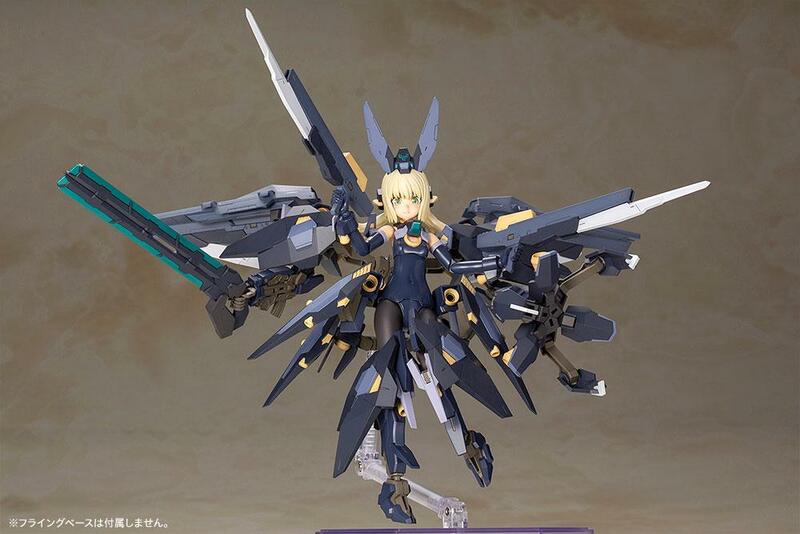 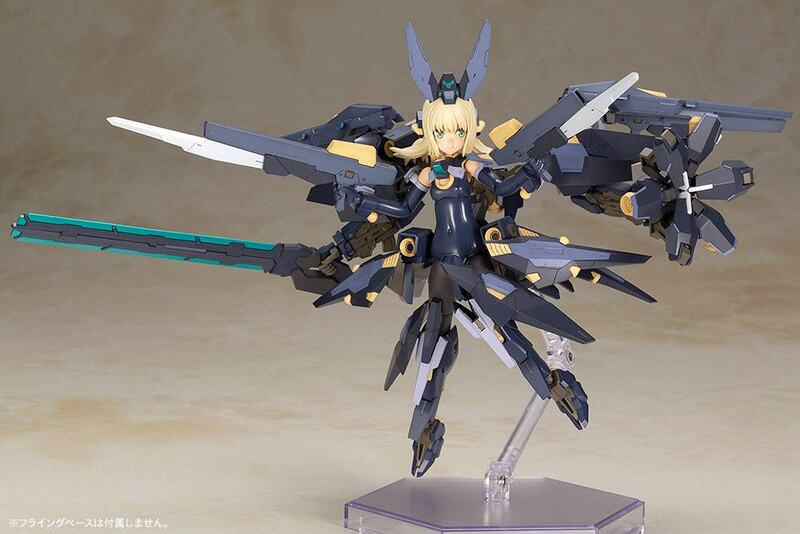 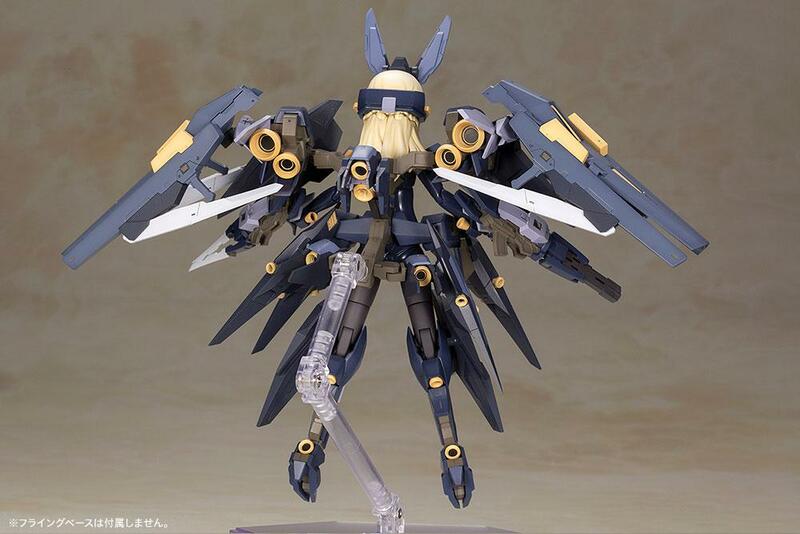 "The latest robot from the Frame Arms line to join Kotobukiya's original spin-off series Frame Arms Girl is Zelfikar! 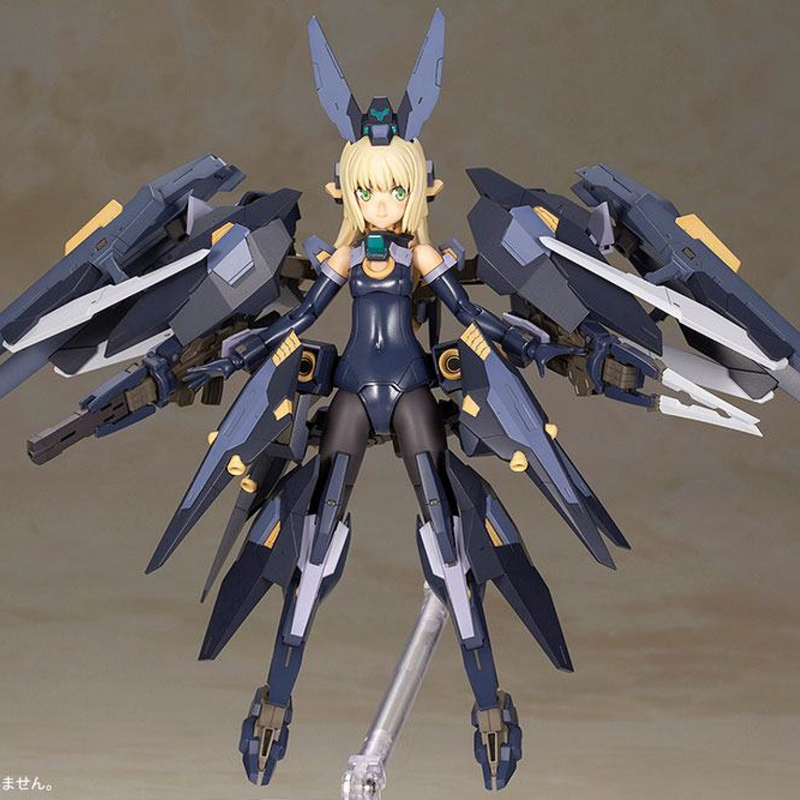 Takayuki Yanase's mech design is expertly recreated into the adorable FA Girl form by illustrator Humikane Shimada! 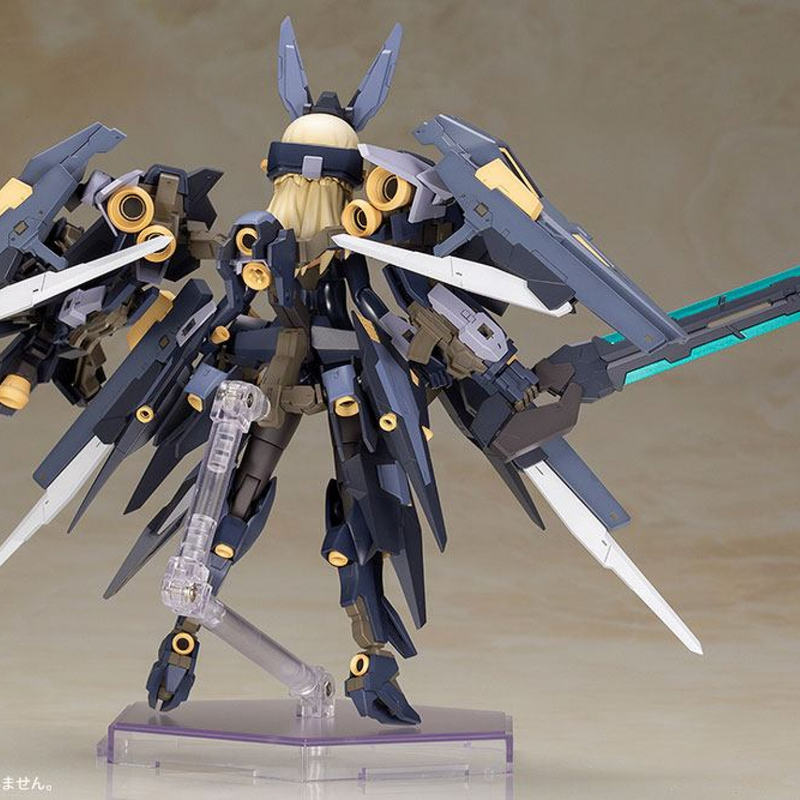 - Zelfikar comes with two unique weapons, a prototype light-wave emitter for the right arm and an offensive shield system for the left arm. 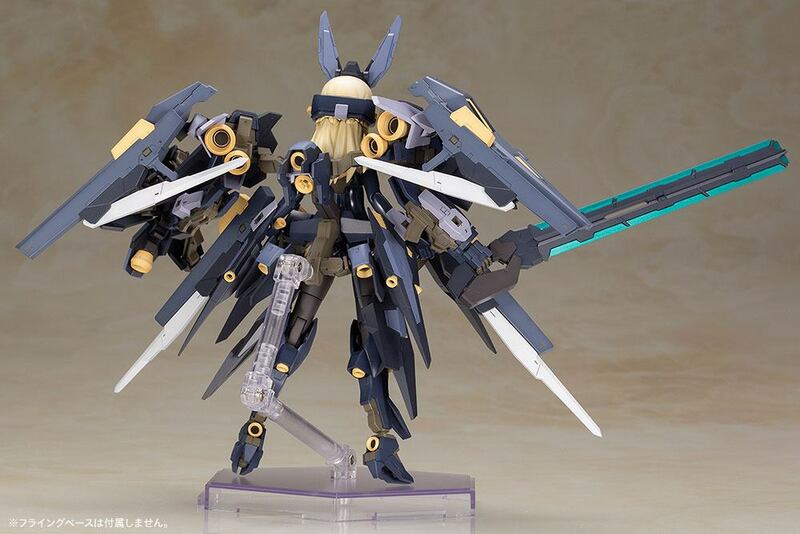 - Zelfikar's armor can be reconfigured to recreate "blast shield mode." 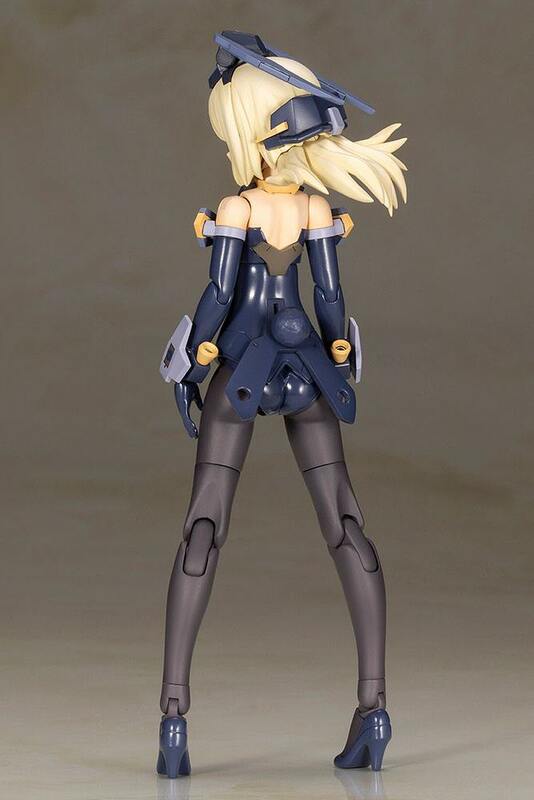 - The base of the blast shield can be used as armor. 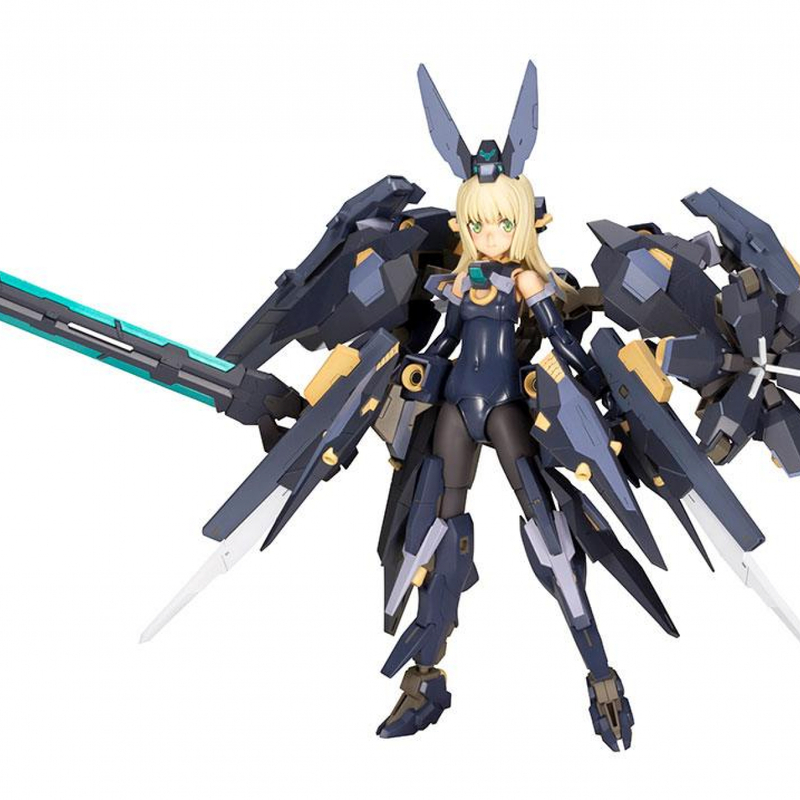 - The included segment rifle comes with an updated blade part. 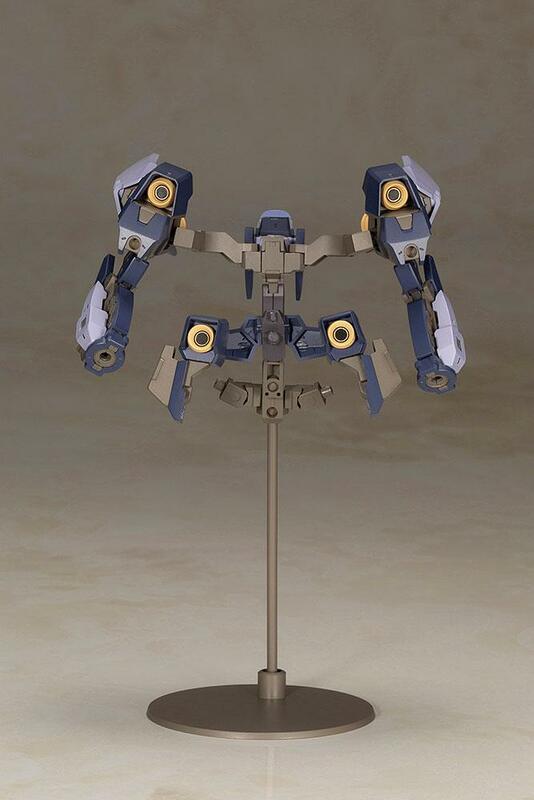 - The kit includes a special support arm. 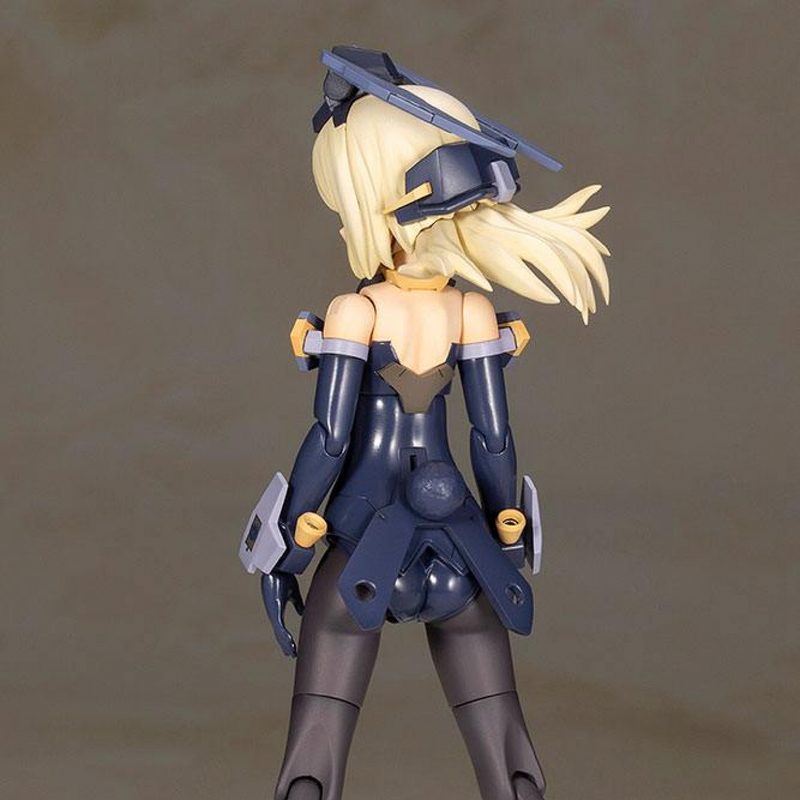 - The sculpting of the head, face parts, hair, chest, and rear of the base model are all new. 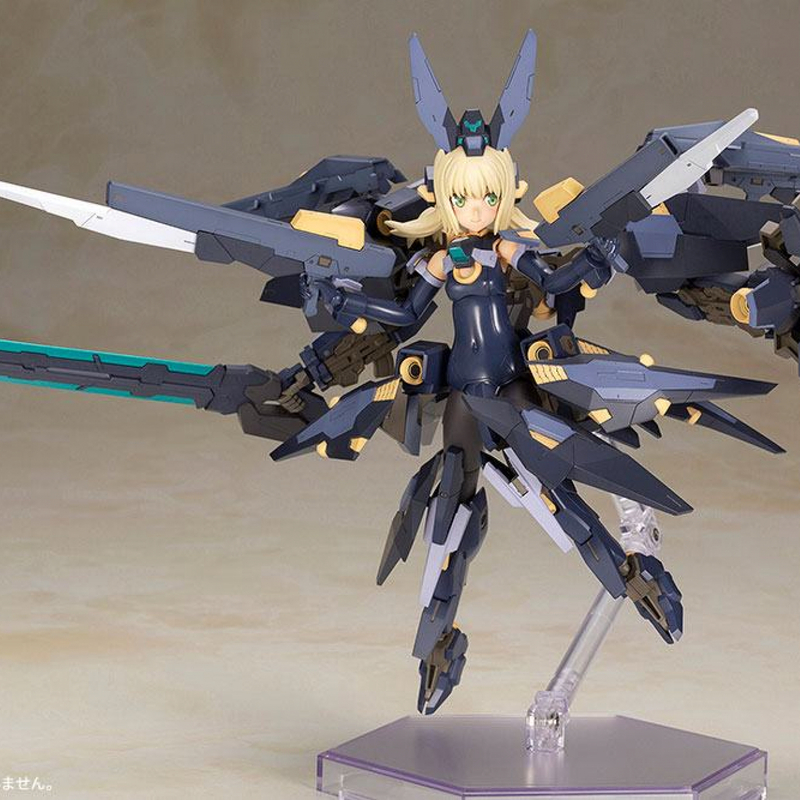 - The kit includes three face parts: smiling/looking left, looking down, and crying. 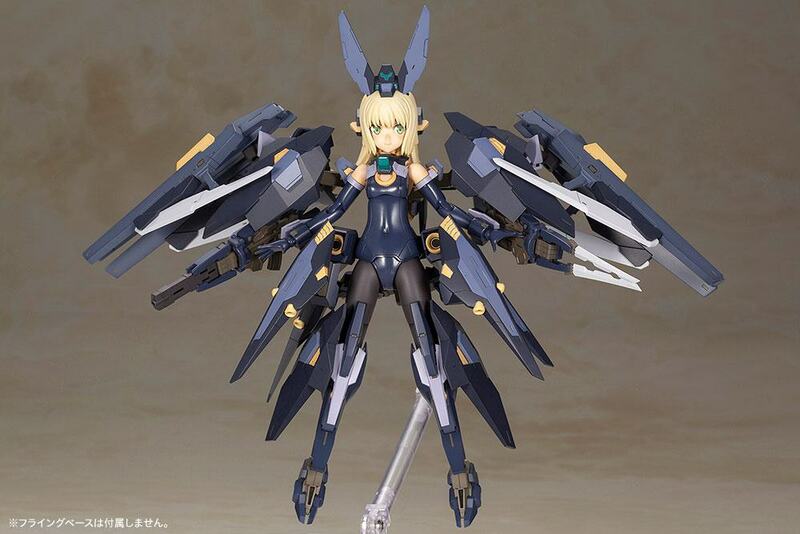 - The model can be turned into a bunny girl by attaching the included tail part. 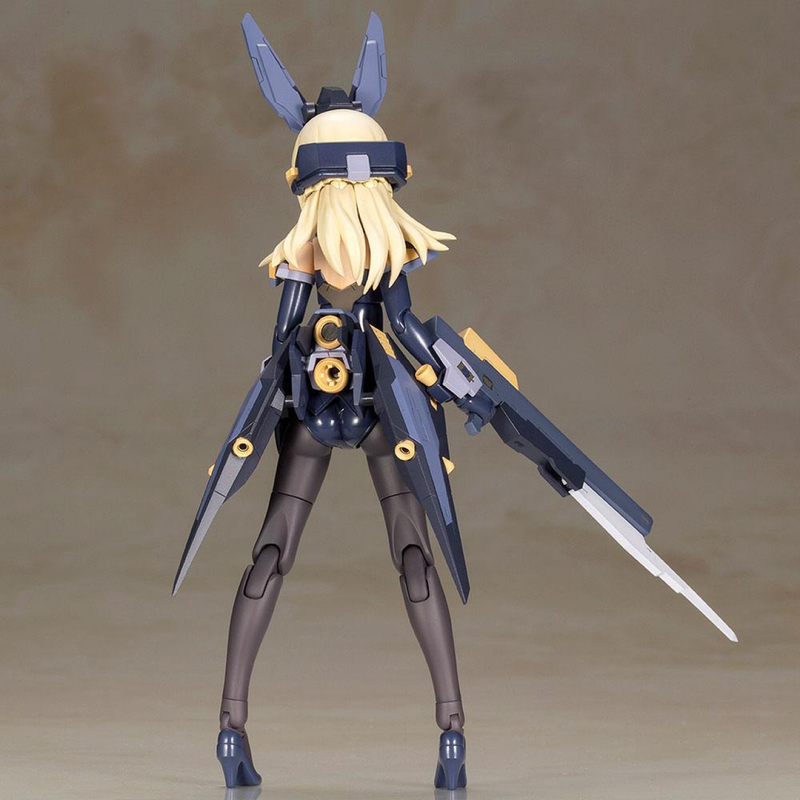 - The model's joints are updated from the original Baselard model, giving Zelfikar an impressive range of movement while also maintaining the model's appearance. 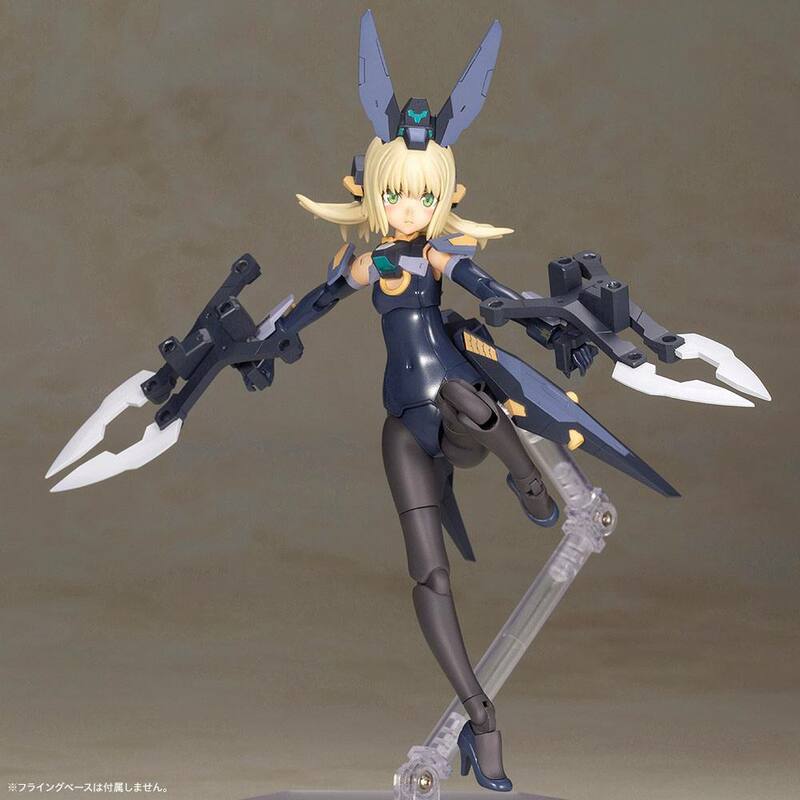 - The model's hands use ball joints that allow for a range of expressive poses. 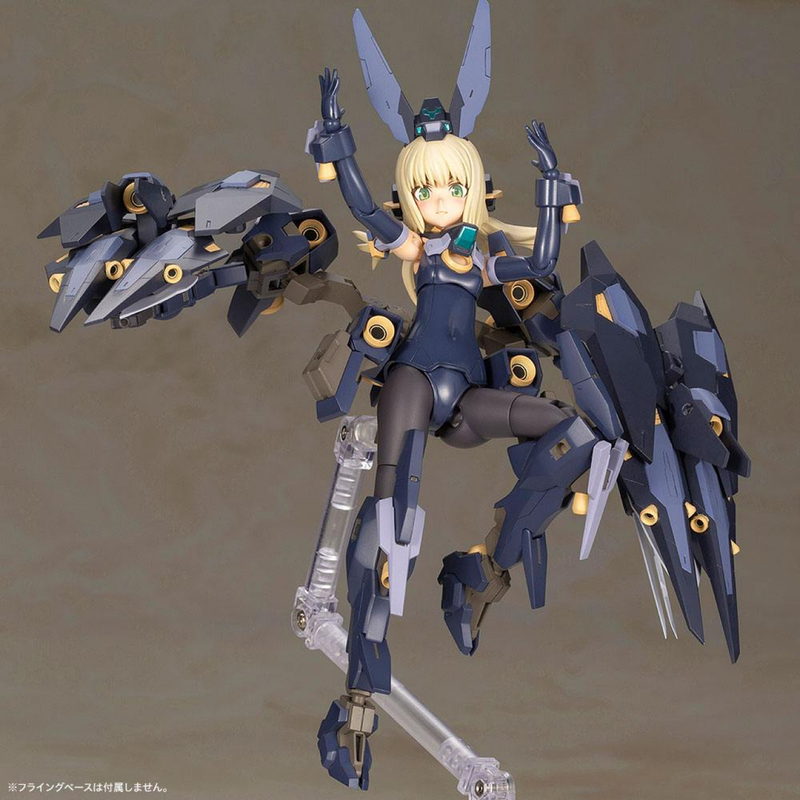 - The kit includes six sets of PVC hand parts, and the kit is also compatible with hand parts from existing Frame Arms Girl kits. 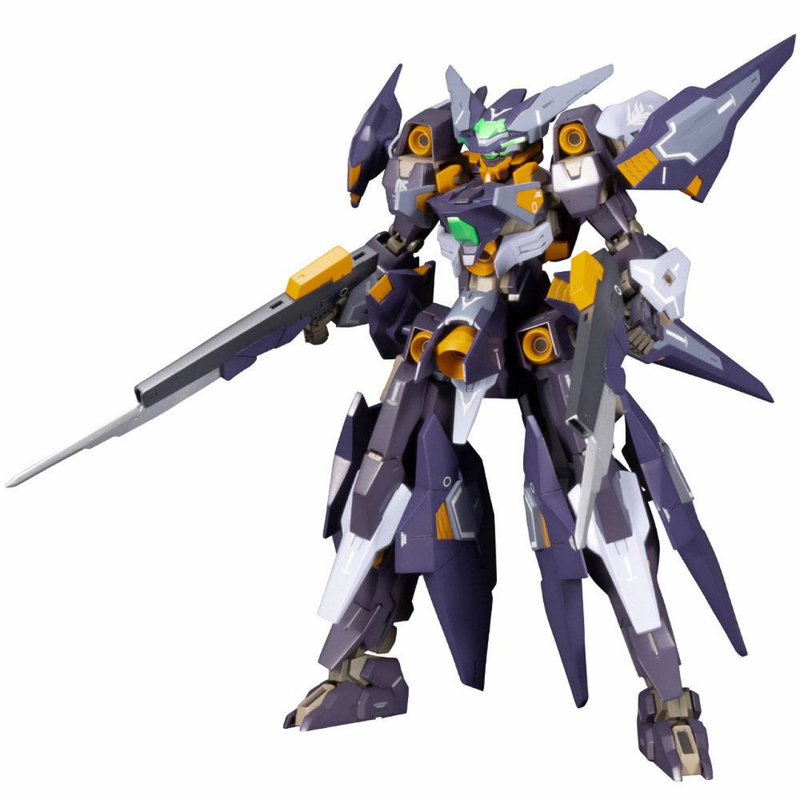 - The kit includes decals for the eyes and other markings. 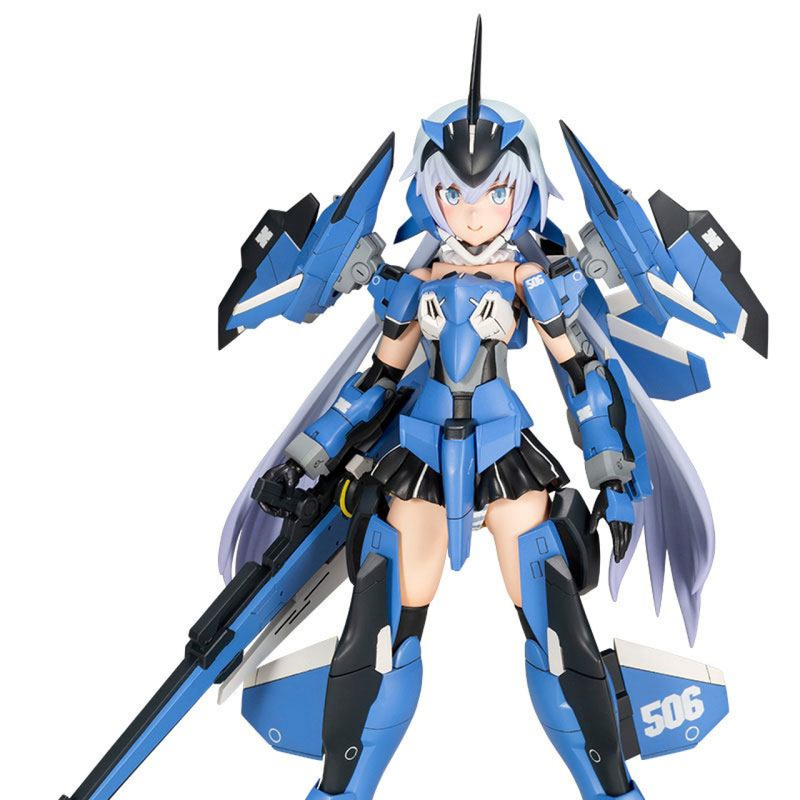 - Zelfikar can be built without armor in her basic mode, fully decked out in mechanical armor, and anything in between by changing out the parts. 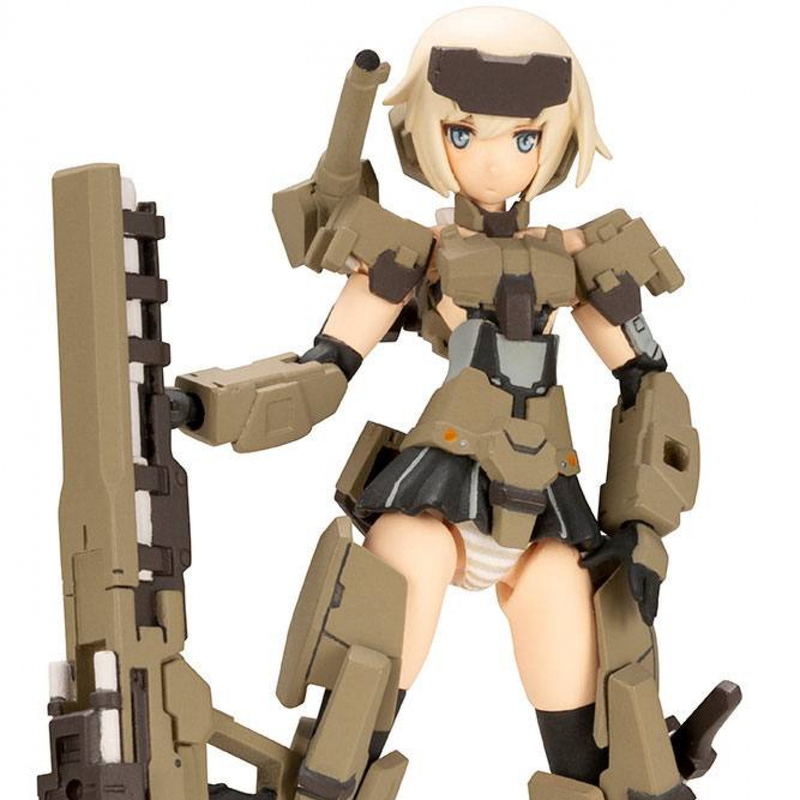 - The kit includes shoulder attachments for arm extension parts that are compatible with the arms from Frame Arms Baselard and other Frame Arms model kits. 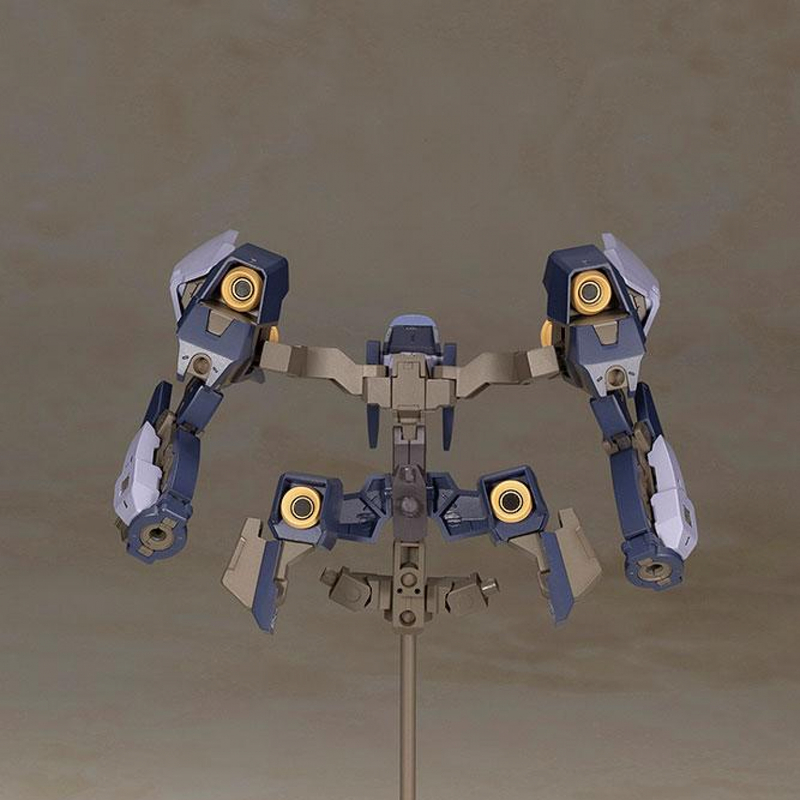 - The 3mm connections on the arms and legs are compatible with equipment from the M.S.G and Frame Arms series.